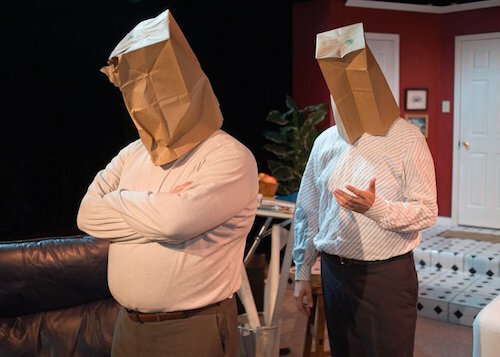 Trinity Street Players is a nonprofit theatre committed to providing professional, thought-provoking, and entertaining stage productions in downtown Austin. We believe in making the arts accessible and relevant, and welcome all who share a passion for creating and experiencing the transformative power of the theatre. Join us for great art in the heart of Austin. Trinity Street Players is funded in part by First Austin on whose fourth floor the black box resides. So you wanna know where to go to see a show? Yep, you’re gonna have to walk into that Baptist Church. Don’t be scared, just pretend you’re in Europe. 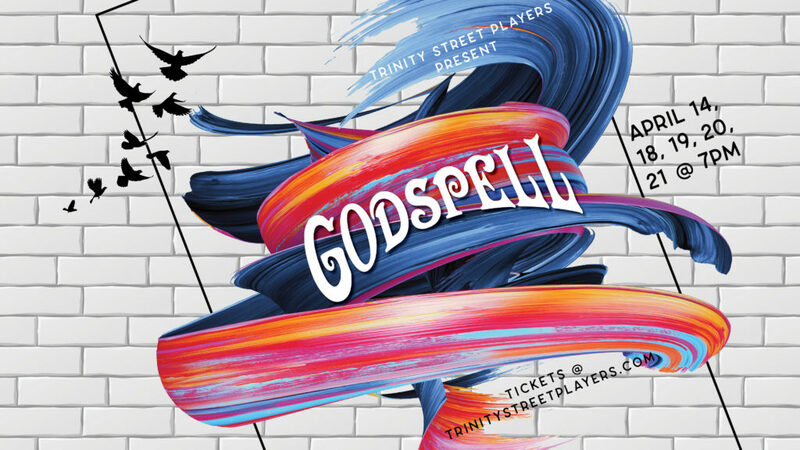 Trinity Street Players presents GODSPELL starring Joshual Denning as Jesus with Michelle Alexander, Sarah Zeringue, Michael Reyna, Jessica O'Brien, Evelyn LaLonde, D'Mariel Jones, Elizabeth Bernhardt, Robert Joseph, Gus Greene, and Ann Zarate. Written by Stephen Schwartz with book by John-Michael Tebelak, GODSPELL will be present in partnership with First Austin in their sanctuary as a concert performance conducted by Adam Roberts with modest staging by Manuel Zarate. Tickets are free and seating will be open in the 800 seat sanctuary. You are welcome to make a reservation online anyway or donate through Eventbrite. Jarrott Productions presents The Children by Lucy Kirkwood April 25 - May 12, 2019. Jarrott Productions presents 2018 Tony nominee for Best Play THE CHILDREN, by Lucy Kirkwood, April 25-May 12th. Performances are Thursday-Saturday evenings at 7:30pm and Sunday matinees at 2:30pm. Ticket prices range from $15-$30, with discounts for seniors/students/teachers/former teachers. This unsettling play about legacy, survival and responsibility is gripping and darkly funny—and will have you on the edge of your seat! Can't find your seats for Godspell? Join the Trinity Street Players Entourage! Volunteers are at the heart of our mission. Click below and find out how you can support “Art in the heart of Austin”.